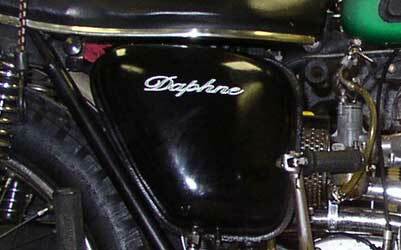 Vinyl Lettering Use: Deirdre and Daphne are the pet names for my '69 Triumph motorcycle. It's an inside joke, they are British Twins, just like the bike. Vinyl Lettering Use: Putting name on a pulling tractor. Vinyl Lettering Use: Applied to my car window. Vinyl Lettering Use: Radio control pylon racer. Vinyl Lettering Use: My home-built sailboat project.